See Story Map on Montana's Response to Aquatic Invasive Mussels. Estimated potential economic damages of Dreissenid mussel infestations in Montana are up to $234 million per year, including $122 million to recreation, $61 million to agriculture, $47 million to infrastructure, and $4 million to government revenue. Additionally, the estimated loss to lake shore property values is estimated to be $497.4 million. See the full report or a fact sheet on potential economic costs of Dreissenid mussel infestations in Montana. The zebra mussel is a small, triangular bivalve (<50mm or ~2 inches) named for the striped pattern of its shell. Color patterns can vary with some populations having only dark or light colored shells and no stripes. They are typically found in dense aggregations attached to objects, surfaces, or other mussels by byssal threads extending from underneath the shells. Although similar to the quagga mussel (Dreissena bugensis), the two species can be easily distinguished. When placed on a surface zebra mussels are stable on their flattened underside while quagga mussels, lacking a flat underside, will not sit flat. Shell up to about 50 mm long, 20 mm wide females, thick and strong. Shell surface is smooth except for concentric wrinkles and growth rings. Periostracum dark green, dark brown or nearly black, and with darker rays that are obscure in adults. Nacre silvery white throughout, or partially to wholly purple or pink. Although similar to the quagga mussel (Dreissena bugensis), the two species can be easily distinguished. When placed on a surface, zebra mussels are stable on their flattened underside while quagga mussels, lacking a flat underside, will not sit flat. See Mackie and Schlosser (1996) for a key to adult dreissenids. Global Range: (>2,500,000 square km (greater than 1,000,000 square miles). Widespread in Europe; originally native to the Black and Caspian seas; accidently introduced into the Great Lakes in North America in the mid-1980s. It has since spread to the Mississippi, Ohio, and Susquehanna River systems. By 1992, the following rivers had established populations of zebra mussels: Arkansas, Cumberland, Hudson, Illinois, Mississippi, Ohio, and Tennessee. By 1994, the following states had reported records of zebra mussels within their borders or in water bodies adjacent to their borders: Alabama, Arkansas, Illinois, Indiana, Iowa, Kentucky, Louisiana, Michigan, Minnesota, Mississippi, Missouri, New York, Ohio, Oklahoma, Pennsylvania, Tennessee, Utah, Vermont, West Virginia, and Wisconsin (Benson 2017). More recently, Connecticut has been added to the list of states where zebra mussels have been found. In 2002, zebra mussels were found in a small isolated quarry in Virginia, a first for this state. In 2002, zebra mussels were found in a small isolated quarry in Virginia, a first for this state. During the summer of 2003, zebra mussel larvae known as veligers were collected in the Missouri River, the stretch of the river shared by both Nebraska and South Dakota. In January 2008, zebra mussels were discovered in San Justo Reservoir in central California (D. Norton, pers. comm. ), in Pueblo Reservoir in Pueblo (V. Milano, pers. comm.) and Grand Lake, 50 miles northwest of Denver, Colorado (E. Brown, pers. comm.). A population in Lake Texoma on the border of Texas and Oklahoma was confirmed in June 2009 (B. Hysmith, pers. comm.). A lake in western Massachusetts became infested in July, 2009 (T. Flannery, pers. comm.). Recently, June 2010, a single veliger was detected in a plankton sample from the Red River at Wahpeton, North Dakota (NDGFD 2011). Adults were later confirmed in the state in 2015 (Wilson 2016). Montana Range: This species was first reported as veliger larvae in Montana in 2016 from Tiber and Canyon Ferry Reservoirs (MFWP/DNRC 2016). Confirmation of adults is ongoing (Schmidt and McLane 2018). Until 2016, there were no known records for Montana and agencies are still trying to locate the adult population in the presumed inhabited lakes. If adult populations are located in these reservoirs, dispersal downstream into the Missouri River system could be devastating. Adult zebra mussels are mostly sedentary and spend their lives near the area where they first settled as juveniles and attached their byssal threads. Most dispersal takes place through the veliger stage after fertilization where they will passively travel with wind direction or water currents. Zebra mussels attach to any stable substrate in the water column or benthos: rocks, macrophytes, artificial surfaces (cement, steel, rope, etc. ), crayfish, unionid clams, and each other, forming dense colonies called druses. Long-term stability of substrate affects population density and age distributions on those substrates. Given a choice of hard substrates, zebra mussels do not show a preference, indicating that veligers cannot discriminate between substrates (with the exception of substrate rejection due to contaminants). Populations on plants also were dominated by mussels less than a year old, as compared with benthic populations. These populations of small individuals allow higher densities on plants. In areas where hard substrates are lacking, such as a mud or sand, zebra mussels cluster on any hard surface available. Research on Danish lakes shows that factors exist, however, that cause substrate to be unsuitable for both initial and long term colonization: extensive siltation, some sessile benthic macroinvertebrates, macroalgae, and fluctuating water levels exposing mussels to desiccation (Smit et al. 1993). The dispersion of zebra mussels within a lake is controlled by physical conditions including wind strength, lake/shore morphometry, and current patterns (Stanczykowska and Lewandowski 1993). These conditions affect both spatial patterns of pelagic veliger density and benthic adult dispersion. Population density of benthic adults has been observed to vary as widely as two orders of magnitude (e.g., <100 to >1500 individuals/m2) within individual Polish lakes due to these physical conditions. Tolerance limits of physical and chemical parameters are well known (Sprung 1993, Vinogradov et al. 1993, McMahon 1996). Freshwater mussels, including zebra mussels, are filter-feeders, siphoning in floating particulate organic materials (small plant or animal) from the water column and straining out the particles and expel the strained water. Zebra mussels have gill filters small enough to strain out large bacteria from the water column (Cotner et al. 1995). The life history of zebra mussels differs greatly from most endemic Great-Lakes region bivalves (Pennak 1989, Mackie and Schlosser 1996). Exotic dreissenids are dioecious, with fertilization occurring in the water column. Endemic bivalves are monoecious, dioecious or hermaphroditic, and some internally fertilized by filtering sperm from the water column. Under natural thermal regimes, zebra mussel oogenesis occurs in autumn, with eggs developing until release and fertilization in spring. In thermally polluted areas, reproduction can occur continually through the year. Females generally reproduce in their second year. Eggs are expelled by the females and fertilized outside the body by the males; this process usually occurs in the spring or summer, depending on water temperature. Optimal temperature for spawning is 14–16°C. Over 40,000 eggs can be laid in a reproductive cycle and up to one million in a spawning season. Spawning may last longer in waters that are warm throughout the year. After the eggs are fertilized, the larvae (veligers) emerge within 3 to 5 days and are free-swimming for up to a month. Optimal temperature for larval development is 20–22°C. Dispersal of larvae is normally passive by being carried downstream with the flow. The larvae begin their juvenile stage by settling to the bottom where they crawl about on the bottom by means of a foot, searching for suitable substratum. They then attach themselves to it by means of a byssus, an "organ" outside the body near the foot consisting of many threads. Although the juveniles prefer a hard or rocky substrate, they have been known to attach to vegetation. As adults, they have a difficult time staying attached when water velocities exceed two meters per second. Zebra mussels are filter feeders having both inhalant and exhalant siphons. They are capable of filtering about one liter of water per day while feeding primarily on algae. Once the veliger undergoes morphological changes including development of the siphon, foot, organ systems and blood, it is known as a postveliger. Further subdivision of the larval stage has been delineated: (veliger) preshell, straight-hinged, umbonal, (postveliger) pediveliger, plantigrade, and (juvenile) settling stage (ZMIS 1996). The settling stage attaches to a substrate via protienaceous threads secreted from the byssal gland. The vast majority of veliger mortality (99%) occurs at this stage due to settlement onto unsuitable substrates. Sensitivity to changes in temperature and oxygen are also greatest at this stage. Once attached, the life span of D. polymorpha is variable, but can range from 3–9 years. Maximum growth rates can reach 0.5 mm/day and 1.5–2.0 cm/year. Adults are sexually mature at 8–9 mm in shell length (i.e. within one year). Eggs are expelled by the females and fertilized outside the body by the males; this process usually occurs in the spring or summer, depending on water temperature. Optimal temperature for spawning is 14–16°C. Over 40,000 eggs can be laid in a reproductive cycle and up to one million in a spawning season. Spawning may last longer in waters that are warm throughout the year. After the eggs are fertilized, the larvae (veligers) emerge within 3 to 5 days and are free-swimming for up to a month. Optimal temperature for larval development is 20–22°C. Egg production and fertilization take place when water temperatures are above 12°C and the release rate is maximized over 17°C (Mackie and Schlosser 1996). Zebra mussels can easily survive overland transport from the Midwest to Montana while attached to boat hulls or in live wells, engine cooling systems, or bait buckets. Live zebra mussels have been found at California agricultural stations on boats from the Midwest, and in Washington on boats destined for British Columbia. The zebra mussel is a prolific fouling organism with great potential to disrupt fish passage facilities and cause ecological and economic damage in the Pacific Northwest. Therefore, the best management action is to prevent infested boats from entering Montana's waterways and the mussels release and establishment. Threats to the zebra mussel are minimal, other than reservoir drawdowns and river dewatering which will leave the mussels prone to desiccation. Although a discrepancy exists when comparing temperature tolerance limits of North American and European populations. North American populations are generally adapted to warmer temperature regimes than their European counterparts. Shell growth has been reported to occur at temperatures as low as 3°C; Lake St. Clair populations and some European populations display shell growth at 6–8°C. Eggs are released when the environmental temperature reaches 13°C and release rate is maximized over 17°C. The optimal temperature range for adults extends to 20–25°C, but D. polymorpha can persist in temperatures up to 30°C. Short term tolerance of temperatures up to 35°C is possible if the mussels were previously acclimated to high temperatures. Rapid warming of shallow lakes has been hypothesized to detrimentally affect reproductive rates in Danish populations (Smit et al. 1993). Oxygen demands are similar to those of other freshwater bivalves including unionids. Tolerance of "anaerobic" conditions has been reported for short time periods under certain temperatures and sizes, but zebra mussels cannot persist in hypoxic conditions. The lower limit of pO2 tolerance is 32–40 Torr at 25°C. Zebra mussels have been found in the hypolimnetic zone of lakes with oxygen levels of 0.1-11.2 mg/l, and in the epilimnetic zone with oxygen levels of 4.2–13.3 mg/l. Zebra mussels are described as poor O2 regulators, possibly explaining their low success rate in colonizing eutrophic lakes and the hypolimnion. Zebra mussels can tolerate only slight salinity.Larval development is inhibited at pH of < 7.4. Higher rates of adult survival occur at a pH of 7.0–7.5, but populations have been found in the hypolimnetic zone of lakes with a pH of 6.6–8.0, and in the epilimnetic zone with a pH of 7.7–8.5. Optimal larval survival occurs at a pH of 8.4, and optimal adult growth occurs at pH 7.4–8.0. Pennak, R.W. 1989. Fresh-water invertebrates of the United States: Protozoa to Mollusca, 3rd edition. John Wiley and Sons, Inc. New York. 628 pp. Schmidt, S.; McLane, C. 2018. 2017 Report on Aquatic Invasive Species. Aquatic Invasive Species Program. 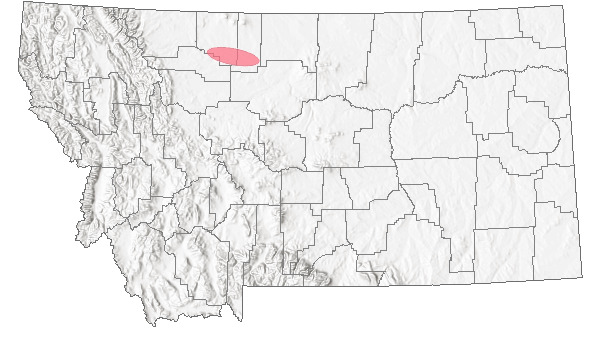 Montana Fish, Wildlife, and Parks. Helena, MT. 20pp + appendices. Sprung, M. 1993. The other life: an account of present knowledge of the larval phase of Dreissena polymorpha. pp. 39-53 in Nalepa, T.F., and D.W. Schloesser (eds. ), Zebra mussels: biology impacts and control, Lewis Publishers, Boca Raton, FL. Gillis, P. L. And G. L. Mackie. 1994. Impact of the Zebra Mussel, Dreissena Polymorpha, On Populations of Unionidae (Bivalvia) in Lake St. Clair. Canadian Journal of Zoology 72(7):1260-1271. Web Search Engines for Articles on "Zebra Mussel"
Additional Sources of Information Related to "Mussels / Clams"